VANCOUVER -- Canada's spy agency is back in court asking that information about its involvement in a British Columbia terrorism probe be kept secret from the public. 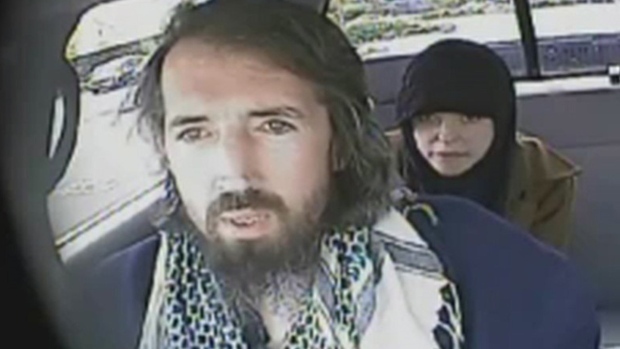 For the second time in two weeks, the Canadian Security Intelligence Service asked Justice Catherine Bruce of the British Columbia Supreme Court to allow a closed-door hearing into whether the RCMP entrapped a couple found guilty in a terrorist bomb plot. John Nuttall and Amanda Korody were found guilty of planting pressure-cooker explosives at the B.C. legislature on Canada Day 2013. The convictions have been put on hold while their lawyers argue the pair was manipulated by police in an elaborate undercover sting. This time, a lawyer representing the Canadian Security Intelligence Service argued some of the information is sensitive enough to national security that part of the closed-door proceedings must also exclude both defence and Crown lawyers, with only intelligence agency lawyers and the judge present. "Submissions would have to be provided on that basis or not at all," Donaree Nygard told the judge on Thursday. "The circle of privilege must be maintained. ... My client is willing to open up the privilege to your ladyship, but no further." Addressing the request for an in-camera hearing, Nygard said the courtroom's public gallery should be closed to spectators and media because even the most well-intentioned lawyers could let slip confidential information. "You can't put the cat back in the bag," she said about the risk of accidental disclosure. "After it's been said it's been said. It's been heard by anyone who's in the courtroom and that can't be undone." The defence argued earlier this month that an alleged human source for Canada's spy agency may have helped radicalize Nuttall. CSIS's argument is that information might be revealed that would risk identifying this alleged human source, which would put both that person and the person's family in danger. 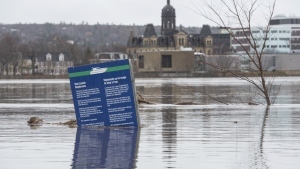 Lawyer Dan Burnett argued on behalf of six media outlets fighting the in-camera order, including The Canadian Press, that a closed-door hearing was too extreme and trampled on the fundamental principle that the courts should be open to the public. "The court hears all the time, and has heard in this trial, from undercover police officers who, we can all agree, if outed are in mortal danger," he said. "Do we prevent their names from being spoken in court? No. Do we prevent them from being visibly apparent in court? No. Do we kick the media out and spectators? No." Burnett proposed the less-intrusive order of a publication ban, adding that an in-camera hearing isn't necessary for experienced lawyers. "One shouldn't be operating on the assumption that counsel is incapable," he said. "I'm sure everyone would do their best but that doesn't necessarily mean the information would be protected as it should be," Nygard replied. Defence counsel has applied for additional disclosure from CSIS on information pertaining to the spy agency's investigation of Nuttall prior to the RCMP's involvement. RCMP Supt. Dan Bond testified on Thursday that CSIS had approached the Mounties months earlier about Nuttall, saying only that he posed a threat to national security. Bond said the RCMP had "very little clarity if any" about the basis of the agency's warning, adding that the Mounties needed to conduct their own investigation to learn whatever CSIS already knew. The agency eventually sent the RCMP an advisory letter on Feb. 6, 2013, specifying that Nuttall had attempted to buy bomb-making chemicals from pharmacies around the Lower Mainland.